1. The program reported an error in the initial run, and I could not proceed, what shall I do? The reason is very likely to be the older version of the DirectX engine of your Windows system, as the game requires the DirectX version to be 9.0c or above. Please try to find the dxwebsetup.exe in the root folder of the game, execute this file and your DirectX engine will be upgraded. Once that is done, you will be able to run the game without any errors. 2. Is this game free? What's the level cap of the game now? Yes. 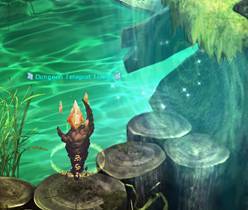 Dragon Heart is a free-to-play turn-based strategy RPG game. The current max level in game is level 40. 3. As a newbie, what should I do? After you entered game, Fairy Gynlin will introduce the game world to you and guide you some basic operations. You can take tasks by talking with NPCs and join combat to get rewards of experience, money, gears etc. From NPC's shop, you can buy some useful items. In addition, during the journey you can try to meet new friends and join a guild for a more enjoyable adventure. Now, let’s begin a mediaeval times expedition! Seven magnificent continents are waiting for you to travel; what’s more, you take up important responsibilities! The legendary Dragonheart, turn-based combat, labyrinth dungeons, pet hatching and upgrade etc, many interesting game systems for your experience! 4. How to get equipments? In Dragon Heart, some mainline tasks will reward you several sets of basic equipment. You also have a chance to get equipments by killing monsters; moreover, Dungeon exchange system offers you some nice equipments too. 5. What kind of weapon should I choose? Warrior’s weapons are Sword and Longsword. Sword is weaker in attack, but after you equipped the assistance Kiteshield, you will get higher defense. Moreover, there is a special skill “Shield Bash” for warrior who is equipped with Kiteshield. By comparison, Longsword has higher attack, but when you are equipped with the longsword, you can’t equip the assistance in the same time. Mage’s weapons are Staff and Wand, and assistance is Orb. Both weapons have normal attack and magic attack. Compare with Staff, Wand is weaker in normal attack and stronger in magic attack. If you want to be a damage dealer, Wand is your best choice. Well, if you want to put emphasis on healing, you are recommended to choose Staff as your main weapon. As an all-round class, Archers’ main weapon is Bow and assistance is Armdart. 6. How to indentify unidentified equipment? You can use Identify Scroll to indentify unidentified equipment, and NPC Blacksmith can also help you do that. Identify Scroll can be bought from NPC’s shop or looted from monsters. 7. How can I strengthen my equipment? In Dragon Heart, there are many ways to strengthen your equipment, such as looting high quality one from Bosses, purifying and refining it to improve its attribute, inlaying gems to get extra attributes, and also refreshing it to get a proper prefix. 8. How to make my equipment looks cool? Generally, higher level equipment looks more gorgeous. In addition, when your equipment is refined to a certain grade, its appearance will be changed with some special effects. 9. How to get materials for Purifying and Refining? And how to get inlay gems? You can get them by monsters drop; exchange them with appointed items by exchange shop; or buy them from Diamond Mall directly. 10. How to trigger the combat? Right-click on a monster, you will come near it, and therewith the combat starts. Some wild Bosses and monsters in the dungeon will trigger the combat automatically when you come near them, and they would chase you in a certain distance. 11. What operations can I do during the combat? During the combat, you can cast skills, or make normal attack, defense, and even escape. You can also use some items during the fighting, such as recovery potions. By the way, before you cast a skill, you need to select a target at first. Left-click on a target can select it and press “Tab” key can switch the current target. 12. How to learn new skills? Normal skills can be learnt by using the normal skill book. 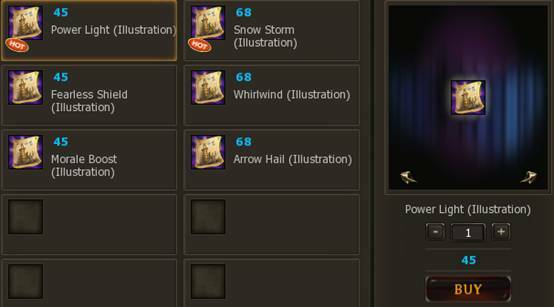 You can buy normal skill books from NPC’s shop directly. To learn advanced skills, you need to use the corresponding number of text pages and illustration pages. Advanced skill pages can be looted from dungeon monsters or bought from Diamond Mall directly. 13. How to use advanced skills? To use an advanced skill, you have to preset it in the Skill interface before you entered the combat, and it cannot be replaced during the fighting. It needs to consume a certain number of fight values for casting advanced skills. Fight value can be accumulated gradually in the combat. The number in the ball reflects fight values you have accumulated in the combat. 14. Does DH have dungeons? Yes. There are 1 to 2 dungeons in every big area where is suitable for players of lvl10 and above to explore. These dungeons are random labyrinths. Every time you enter the dungeon, its shape would be changed. 15. How to buy items in the exchange shop? It’s barter trade. You can get different heartstones from each dungeon by killing monsters there or finishing related Mercenary Tasks. The heartstone can be used for exchanging items in the dungeon exchange shop. 16. How can I get a pet? Get it by finishing the related mainline task. Hatching pet egg: you have a chance to get the pet egg by killing monsters, then visit Pet Admin or press the "O" key to open the hatch interface to start hatching. Buy it from Diamond Mall directly. 17. How to let pet join the combat? Right-click the pet in your inventory, or left-click and drag it into pet interface can set the pet to fight. Pet can fight automatically in the combat and it will automatically come back to full HP and MP after the combat. 18. How to raise a pet? Enter the combat with your pet together, and then it will get experience from the combat and level up. Every kind of pet has 5 qualities and the higher the quality, the greater growth potential the pet. You can also upgrade the pet at NPC Pet Admin to improve pet’s attributes. 19. Does pet have skills? How to let it learn a new skill? Yes. Pet was born with one skill, and when it levels up to 20 and level 40, it will get the second and third skill respectively. 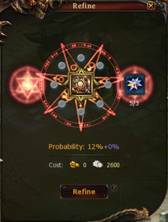 Players can alter pet's skill through pet skill renew function at NPC Pet Admin. 20. What should I do when the pet is hungry? It’s better to keep your pet feeling satiate, because a starving pet will not join in the fight with you. To increase satiation, you need to feed it on pet food. In some cases, feeding pet can bring it some special BUFFs. 21. How to add a new friend? 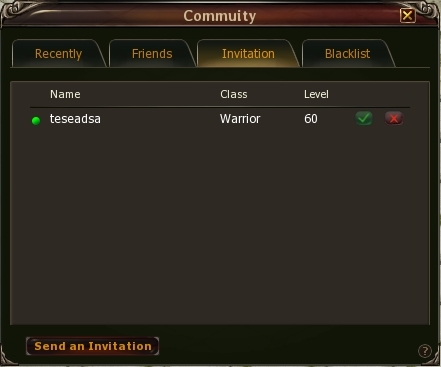 To add the other player as a friend, you need to send a friend invitation at first. After the other side accepted the invitation, you will become friends and friend’s name will appear on each other’s friend list. 22. How to buy items in the Diamond Mall? Diamond Mall button is on the top left corner of mini map area which located on the up right corner of game interface. Left click the button or press “D” key can open the Diamond Mall interface. You can see the item icon, item name and price in the mall. 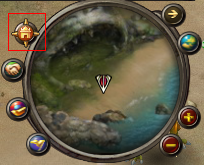 Move your mouse point on the icon and then you can see the item description in the bubble. Choose an item and then input the item amount you want to buy. Of course, if you want to do shopping, Diamonds are needed. 23. How to buy Diamonds?